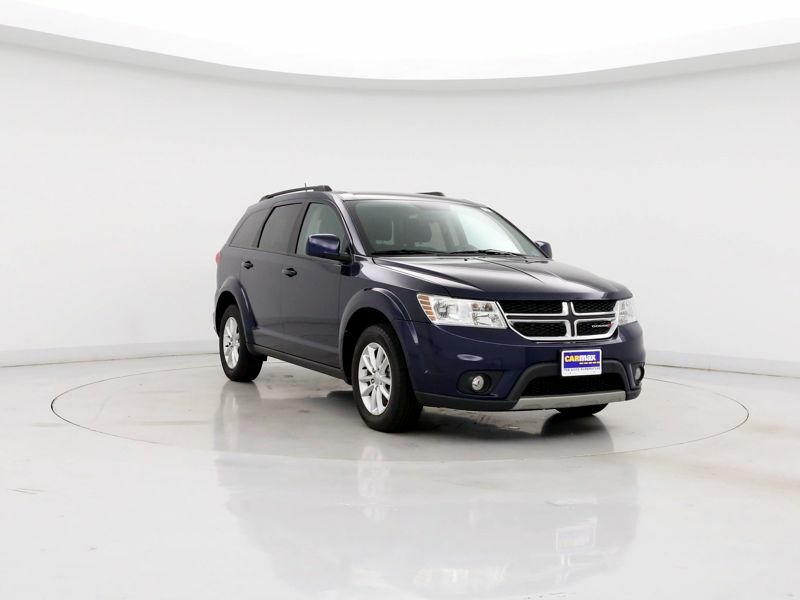 Dodge Journey SXT Cruise Control Blue Ext. Transmission: Automatic Color:Blue Interior Color: Black Average Vehicle Review: (3.917 reviews) I only had this truck for a couple months and its been in the shop for more than a month. First the GPS system went out and after 3-4 drop offs and a week in the shop the Dodge dealer finally replaced it. Right after that the transmission was acting funny and after more than 3 weeks in the shop they ended up replacing the transmission. To top it off the day after I picked it up it died on the road and had to tow it back to the Dodge dealer where it sits. We got the Journey as our family vehicle. We didn't need a full on SUV and did not want a mini van. The Journey seemed to be a perfect mix between the two vehicle styles. Plenty of space for our 9mo old in her seat, the dog and cargo. Plus the 3rd row seating is awesome to have when needed. We feel safe and confident driving it. So far we love it. This has been a reliable vehicle so far. It is definitely more affordable than other SUVs in this market. I enjoy the perks of the R/T (heated seats, Alpine stereo). I have had issues with my Bluetooth lately. The website suggests downloading an update, which I'll try soon.